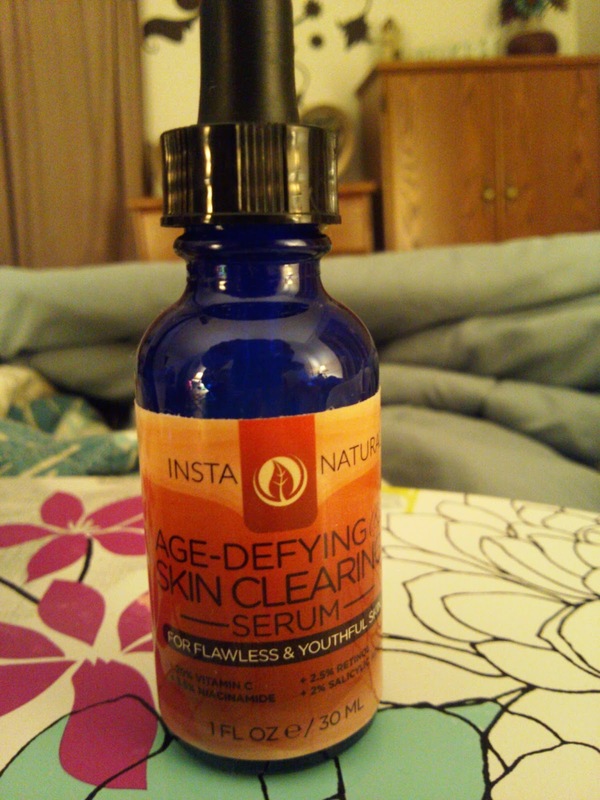 InstaNatural has created 2-in-1 facial serum called the Anti-Aging Skin Clearing Serum. The cloudy gel-like serum contains Vitamin C and Retinol to reduce wrinkles, age spots, discoloration and rough skin creating a more youthful appearance; At the same time, Niacinamide and Salicylic Acid treat breakouts and occasional blemishes, plus reducing redness and inflammation. As far as I have seen, this is the first time a skin clearing product has been combined with anti-aging. I think this is a genius idea because not only do middle-aged adults experience acne and irritation from time to time, but younger adults can benefit from anti-aging products as well as the skin-clearing. I was concerned that this formula would be too potent for my sensitive skin, but I really felt like my skin looked healthy, clear, and even the next day after my first use. I didn't experience any irritation and found that it helped clear up my skin without drying it out. I am a big fan of retinol and salicylic acid, so I really like this serum. I have tried straight niacinamide on its own before and experienced redness, but when it's combined in this formula, it seems to be fine for my skin. 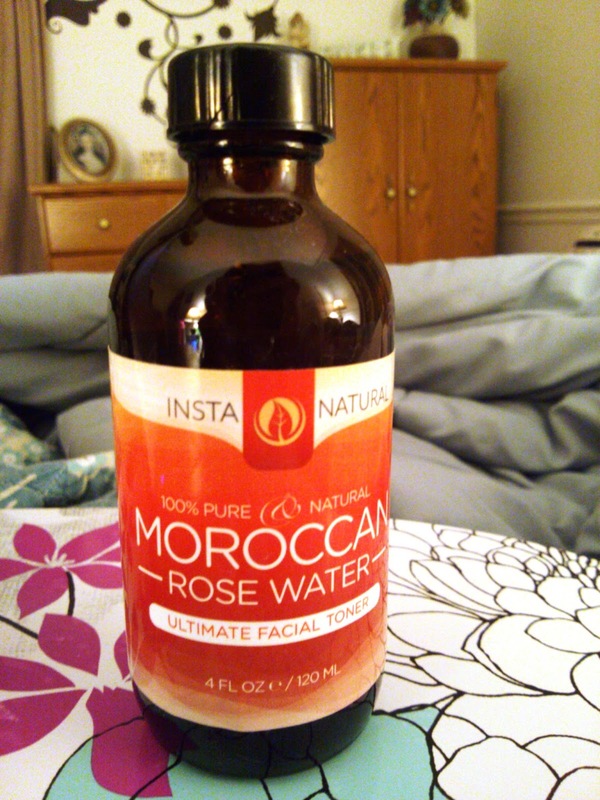 I also got to review Moroccan Rose Water facial toner, which smells just like roses and is 100% pure Moroccan rose water. It is non-irritating and makes my skin feel super clean and my pores feel tight. I like that this can be used in a bath too for a nice rose bath, but I love it as a toner. I use this before applying the Anti-Aging Skin Clearing Serum, and found that this combination works really well.